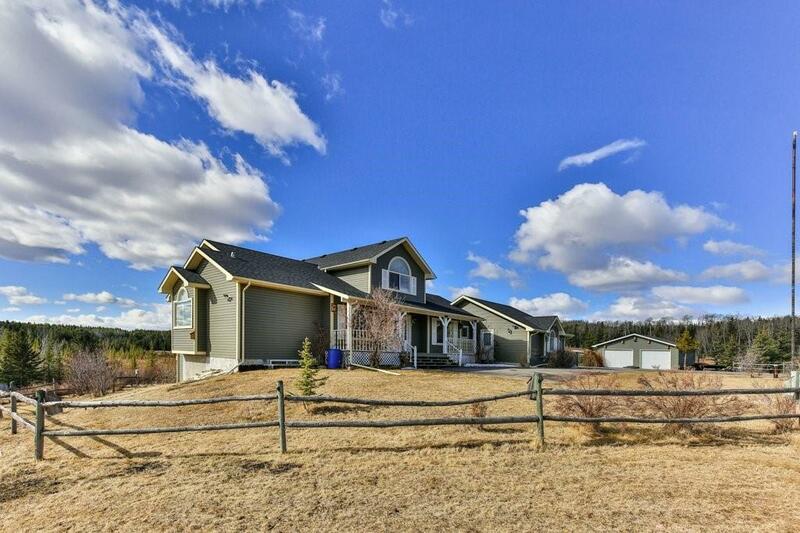 This beautiful home sits on 23.5 private acres only 17 mins from Cochrane. Bring the kids & they'll be entertained for years!! 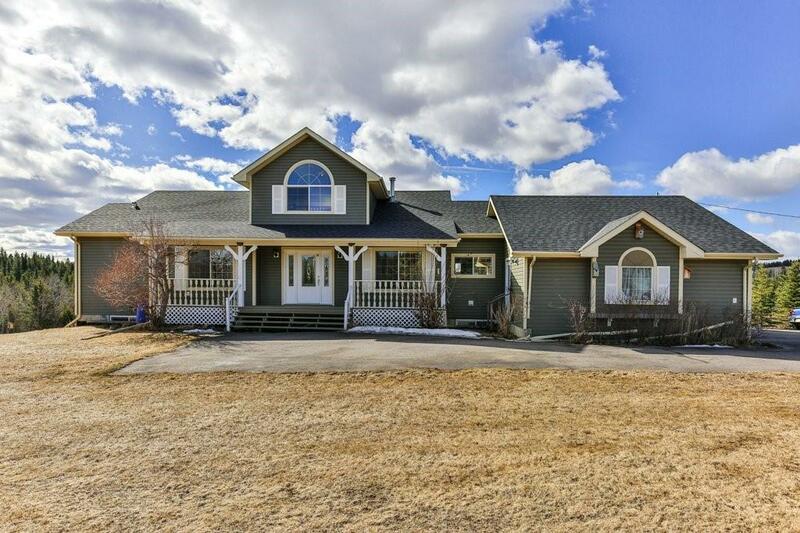 At 5 beds, 3 full baths, 3 car oversized attached garage, & an oversized detached 2 car garage, there's plenty of room for the whole fam. The open concept main floor kitchen w/ cupboard space galore makes entertaining easy while the loft space is great for getting away to enjoy your views. 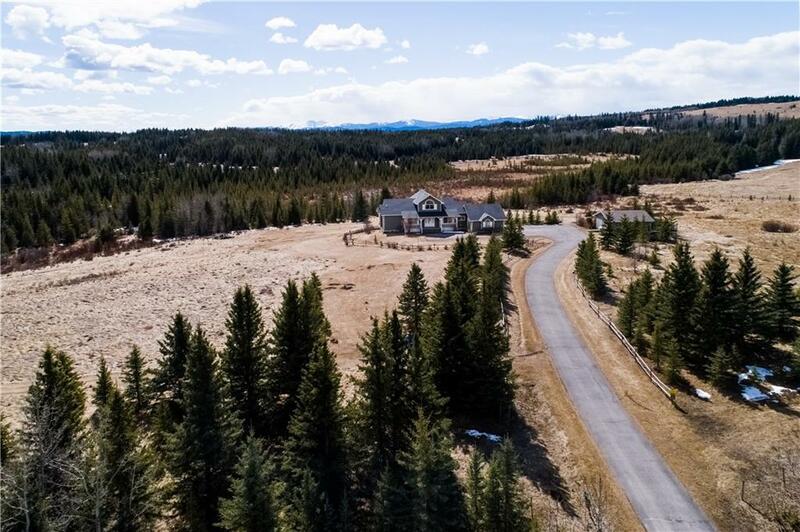 The extremely large master retreat has exceptional views from every window along w/ the relaxing reading area there's all kinds of room to get recharged. The second bedroom is a fantastic size for the little ones or guests. 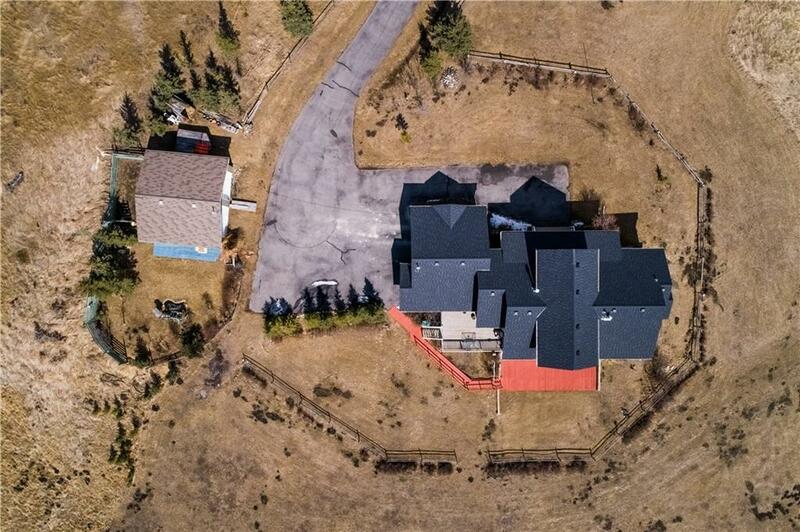 In the lower walkout basement area there are three more bedrooms (5th bedroom is currently a workshop with egress window, also has a roughin for an en-suite) & a huge entertainment area. Enjoy the massive lower sun drenched south exposure deck right from the entertainment room. Not to mention the property is on a school bus route that's always plowed.